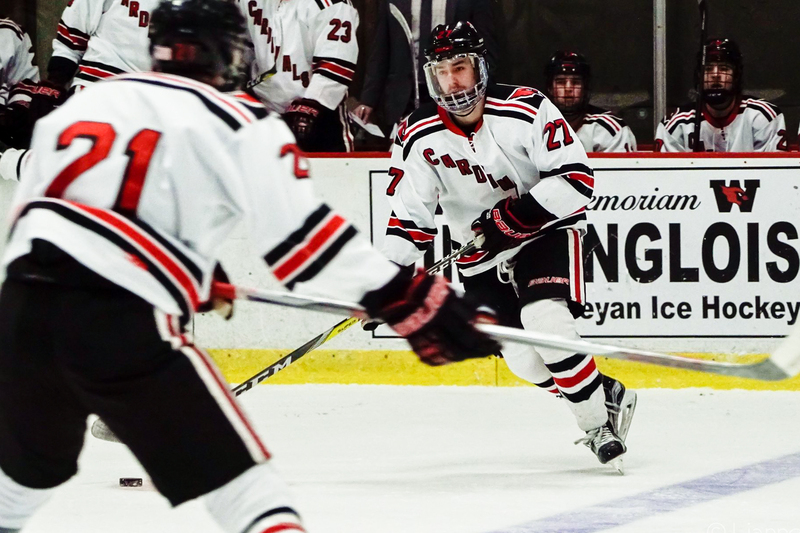 With the hopes of securing an opening-round playoff matchup at Spurrier-Snyder Rink, the Cardinals headed into the weekend needing a clean sweep of NESCAC rival Trinity to ensure they began the playoffs on home ice. The No. 12-ranked Bantams would be no easy opposition, and the Cardinals knew they’d have to come out firing on all cylinders to compete with their I-91 rivals. Last Friday night, the two teams met in Middletown for the first of two matchups over the weekend. 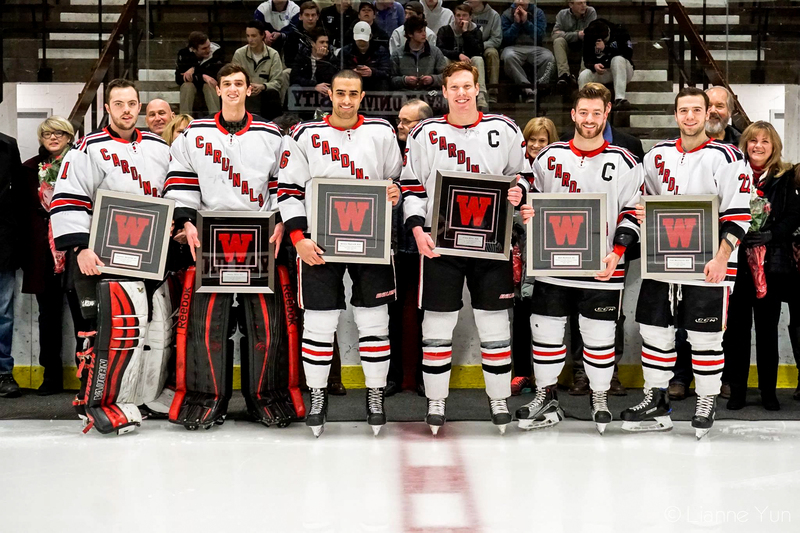 Before the game, the Cardinals honored six seniors for their contributions to the team over the past four seasons: captains James Kline and Robby Harbison, forwards Morrissette and Quincy Oujevolk , and goaltenders Dawson Sprigings and Danny Weiss. The Bantams struck first in the contest, when NESCAC Player of the Week Ryan Cole found Anthony Sabitsky in front of the net for a score at the 14:06 mark of the first period. The period was scoreless afterwards, but gave way to an explosive second stanza. Trinity lit the lamp four times in the opening 10 minutes of the period, staking out a five-goal lead on the underdog Cardinals. The Redbirds also had a few good scoring chances, but attempts by Tyler Kobryn ’20 and Oujevolk were stopped by Trinity goalie Alex Morin. The Cardinals escaped the second without any more damage, but the Bantams found twine again early in the third when Will Sleeper scored at the 3:18 mark. Determined to not go down without a fight, first-year standout Walker Harris ’20 put the Cardinals on the board at 14:42 of the third. The goal marked Harris’ ninth of the year, and was set up with passes from Chad Malinowski ’19 and Dylan Holze ’18. The Bantams answered with another goal late in the third, their seventh, before the Cardinals earned a power play opportunity in the final minutes of the game. Jordan Jancze ’18 won the draw in the Trinity zone, and Oujevolk grabbed the loose puck before firing it into the back of the net with just 11 seconds remaining in the contest. The Cardinals fell by a final of 7-2. Sprigings and Weiss split time, each getting one last chance to play in front of the Cardinal faithful. The two combined for 37 saves in the game (the 44-20 shot differential provided a snapshot of how tilted the ice was on the day). Harris leads the squad with nine goals on the season, and his 21 points only trail the senior stalwart Kline for the team lead. Despite the loss, the 2016-17 Cardinals clinched their third-ever Little Three Title after Amherst defeated Williams earlier that evening. The Red and Black posted a 2-1-1 record in Little Three play this year. The squad joined two other Wesleyan teams who captured Little Three Titles this year, the football and men’s basketball teams, marking the first time in school history that all three have won the coveted title in the same academic year. After the tough loss, Morrissette said the team must play to its strengths to remain successful. The following night the team looked to shake off the lopsided defeat, this time traveling just up the road to Hartford to take on the Bantams in their barn. Just as they did the night before, the Bantams drew first blood, lighting the lamp at the 2:21 mark when Cole beat George Blinick ’19 for the opening score of the contest. Just over 10 minutes later, Sleeper doubled the advantage for Trinity, extending their lead to 2-0. Harris had a great shorthanded opportunity late in the period after he forced a turnover by the Bantam power play unit, but Morin stood tall in net and shutdown the Cardinal forward. A power play goal midway through the third period stretched the home team’s lead to three goals, and the 3-0 score stood until the final whistle sounded. 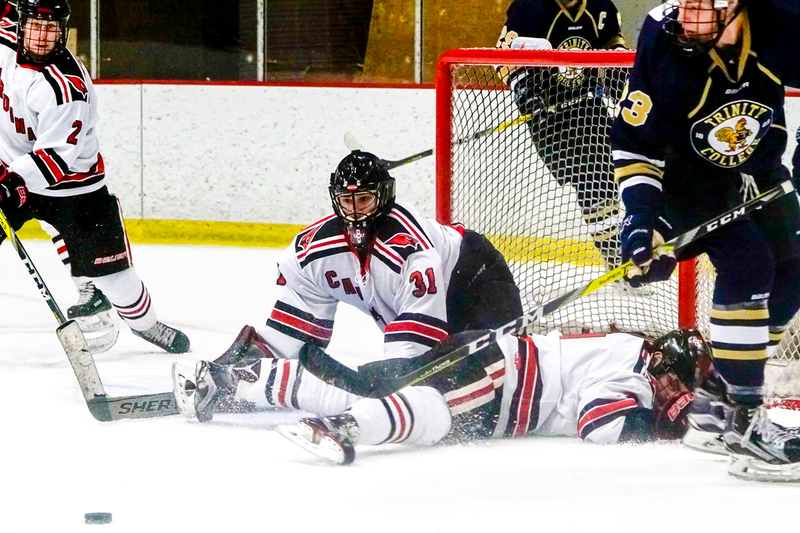 The goal snapped a streak of 30 straight kills by the Cardinal penalty killing unit, an impressive feat that has vaulted them to the top ranking in all of Division III hockey. Blinick registered 37 saves in the contest, turning out another fine effort in what has been a breakout season for the second-year player. The sweep by the Bantams gave Trinity the No. 3 seed for the NESCAC tournament, and they will host No. 6 Tufts in an opening round matchup on Saturday. The two losses dropped the Cardinals to the No. 7 seed, and they will travel to Colby on Saturday to take on the second-seeded Mules. Despite coming up short this past weekend, the Cardinals know they can play with the Waterville, Maine-based team. 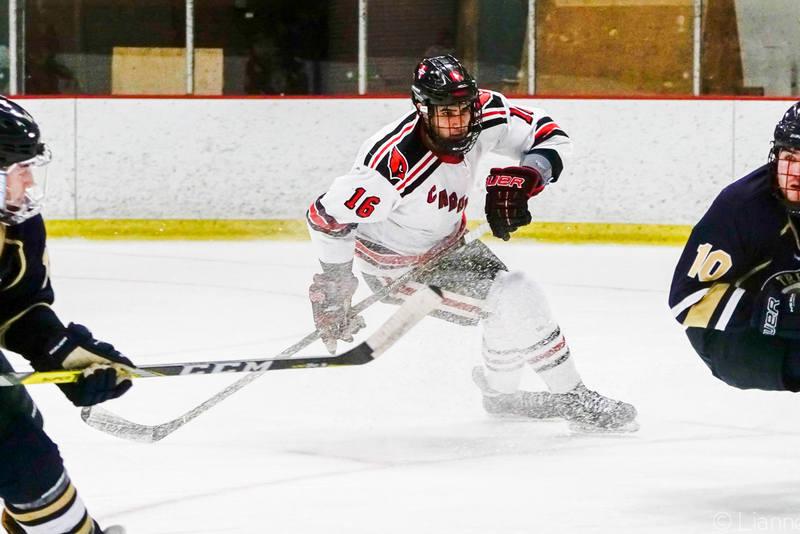 Earlier this season, the Red and Black played the Mules to a 4-4 tie on the road, and fell in a tightly contested 3-2 affair at Spurrier-Snyder rink just two weeks ago. 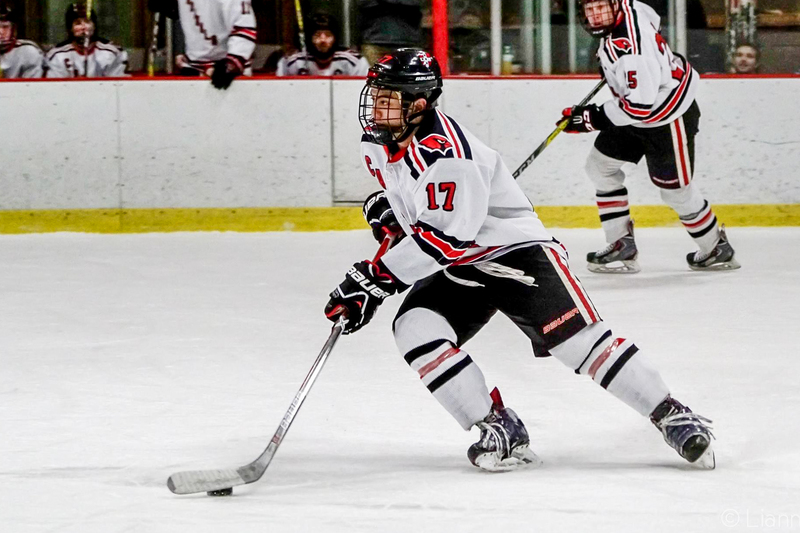 On what could be the final weekend of his hockey career, Morrissette reflected on what it was like to lace ’em up for the Red and Black.